Q: Are We Not Human? Acting as a sequel to A Boy and His Corpse, this free standalone short story concerns teenage necromancer, Alan Chandler, as he wrestles (No pun intended) with the possibility of his undead federation including living wrestlers in its stable of combatants. But Alan and his band of corpses won’t go down without a fight! 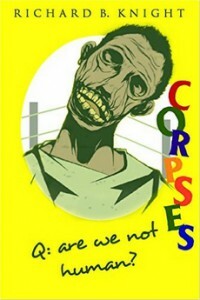 Will the Undead Wrestling Federation become half corpse/half living wrestlers, or will Alan get his way and keep the UWF just that–undead. Find out in this short story of guts, glory, and braaaaains.